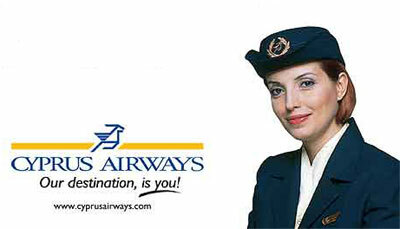 Cyprus Airways is the national airline carrier of Cyprus. The airline company was founded in 1947 under Cyprus Airways Public Ltd. and its headquarters is located at Nicosia, Cyprus. Cyprus Airways operates scheduled international and domestic flight services to more than 30 cities across Europe, the Middle East and the Gulf. The primary base used for Cyprus Airways is at Larnaca International Airport with a secondary hub located at Paphos International Airport. 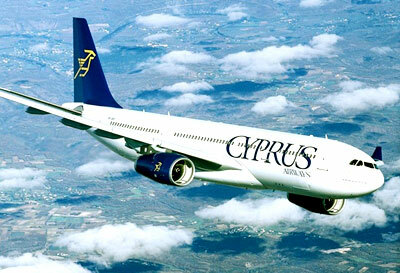 Cyprus Airways launched a subsidiary charter airline called Eurocypria Airlines in 1992. SunMiles is Cyprus Airways' frequent flyer program its member lounge is known as the Executive Lounge. In terms of flight cabin classes, Cyprus Airways has economy class which is also known as Aphrodite class Y. It's business class is called Apollo class C.
All Apollo class passengers will be allowed access to the Sunjet executive lounge which is situated at the Larnaca Airport.